Established in 1974, Kay Gee Plastics serves Southeastern Virginia by producing plastic products manufactured from plastic sheet, rod and tubing. In 1994, Degen Enterprises Inc. became the new owners. Since then, through continued improvement in material handling and manufacturing processes, Kay Gee Plastics works to exceed customer expectations regarding product quality. As a small business we offer personalized service. Our customers include government agencies, branches of military service, corporate entities, commercial businesses, religious organizations and residential consumers. Our products include some of the most imaginative items fabricated from plastic sheet. 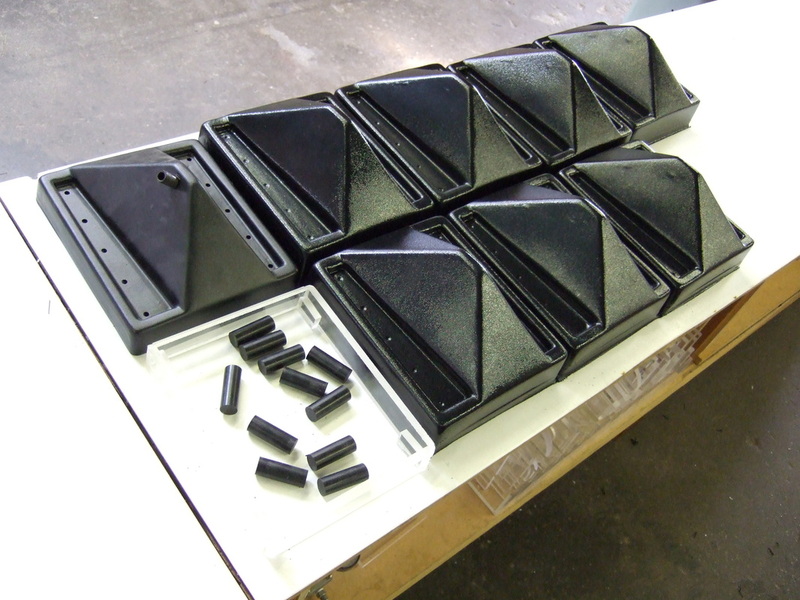 From simple cut-to-size pieces, or clear acrylic podiums, to custom formed boat windshields or light weight, flame retardant, aircraft parts. We want to produce the products you require. Please explore this site, discover our products and contact us regarding your custom fabricated plastic needs. Production of condensation/water drain pan. 2018 Copyright Kay Gee Plastics all rights reserved.